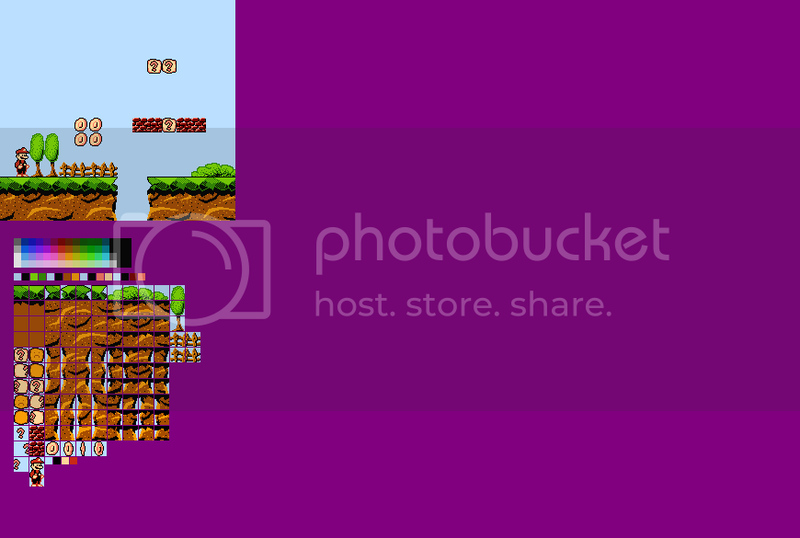 nah, i made it with the idea to be a new game (based possibly on smb3 engine). besides, you havent seen underground yet, you havent seen underwater levels yet - you aint seen nuthn yet. also, 6 hours later im in school now. FYI i live in Estonia. Well the computation is very easy. Texas is in UTC-6 area, and he has 8 hours of advance on you. Therefore he is in a UTC+2 area. (ok he confirmed this in-between, but this doesn't change the problem). The background looks really good ! However I do not personally like how this altered mario sprite looks. Too realistic and not enough cartoony for Mario. The coins being not perfectly round is a bit weird. I quite like this kind of Mario, much more than the original. So do I. One change I'd recommend is to add a couple more pixels of below the hat. The only thing that could beat it is if someone made sprites based on the art style of the Super Mario 3 and Super Mario World cartoons. I like it. Coins could be more yellow/orange, and look less like fried eggs. Another detail I dislike is the use of red for outlining Mario's pants, and the light colored shoes (it looks like he's barefoot). Added more to the hat, a bit more facial hair and black shoes now. classy. but i didnt change the color of the coins because its shared with the ? blocks and i didnt want to use the orange-yellow for it because THAT looks like a fried egg to me. the red outlining on mario came out of struggle that the pants & edge would be the same color. so it goes unchanged for now. 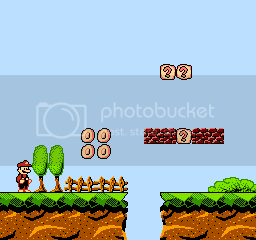 As for the cartoony mario spriting.... i am not that good of a charachter spriter to be able to make sprites that resemble the cartoon mario accurately. could give it a shot one day though. Have you considered making the shoes red? I think it looks closer to the brown they were supposed to be, and has the advantage of limiting the use of a lighter color for outlining, which IMO looks weird. Eh, just a column more of pixels at the belly to make it more rounded would do the job. went ahead and did "luigi" too.